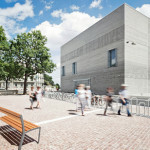 Text: Toru WadaThe campus area was formerly the industrial complex of the St. Johann works, and Novartis has been redeveloping the premises since 2001 with the aim to create an ultramodern centre for research, development and management. This ‘city in the city’ is still a work in progress with completion expected by 2030. 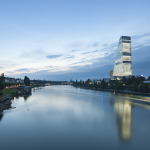 This multinational company has helped build up Basel’s reputation in not only as an art city but also in the field of science. All the buildings are innovative and sustainable, designed by well-known architects around the world. 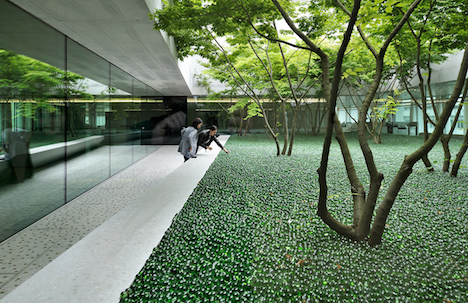 There are four Japanese architects involved, including big names such as Tadao Ando, Fumihiko Maki, SANNA and Yoshio Taniguchi. The other names include Pritzker Prize winners such as Frank Gehry, Eduardo Souto De Moura and Herzog & de Meuron. The campus has a strong presence and it has become one of the symbols of the city. 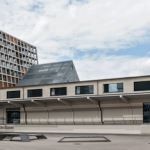 You can see the amazing buildings on their website by joining the virtual tour, or you can join a guided tour offered by the Basel tourism office. The tour is very popular so it is recommended to book it in advance.